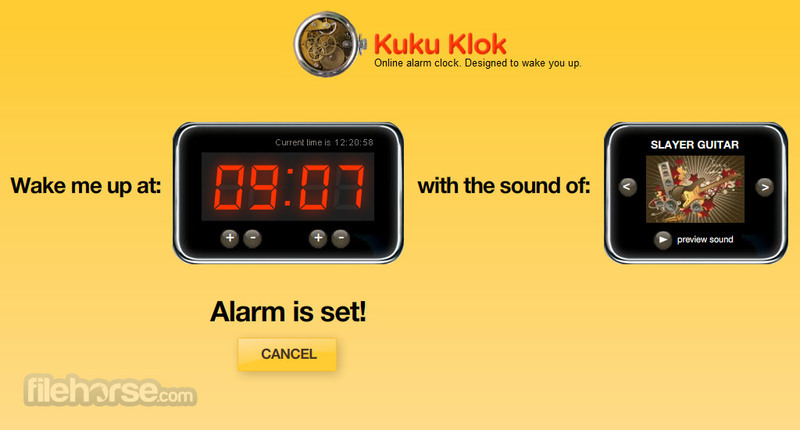 Kukuklok is a great online alarm clock! If you have ever found yourself in a situation that you don’t have access to the alarm clock or device that will provide such service, but you have your personal desktop computer or laptop around you, then look no further from Kukuklok. This amazingly easy to use webapp was built specifically to provide best possible alarm clock experience on the PC. You don’t need to install any application, or browser plugin. All you need is access to the internet and a browser tab in which you can load Kukuklok. Kukuklok offers wide variety of alarm clock options, visual skins, snooze, alerts, and most importantly, once you choose your settings alarm will remain active even if you lose your internet connection! 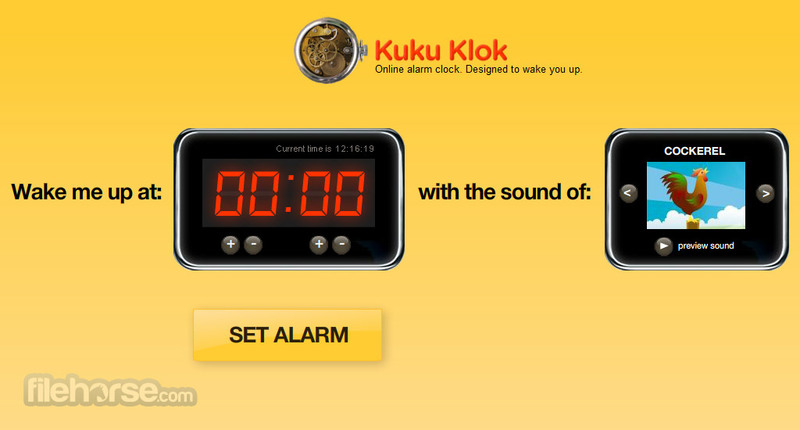 Kukuklok is an amazing online alarm clock! Try it Now!